Q. Why should I drink Coconut Water after my workout? Coconut water has been all over the media lately. 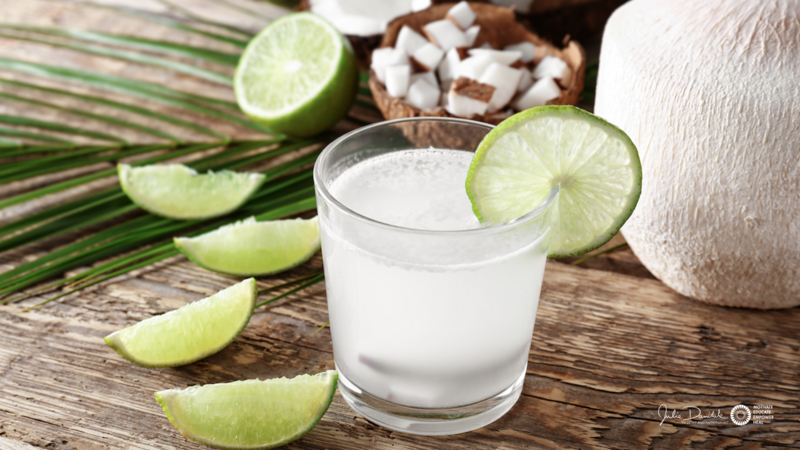 From celebrity endorsements to fitness fanatics touting this exotic nectar, coconut water is being billed as the ultimate sport drink for recovery and electrolyte replacement. Should you trade in all those plastic sport drink bottles that you’ve relied on? I recommend tossing out sport drinks for Coconut Water. 1. Get the right balance. Commercial sport drink companies realize that electrolyte replacement is a fundamental part of recovery. Unfortunately, the only electrolyte that seems to be replaced by these drinks is sodium, when what's really needed is a balance between sodium and potassium. Every cup of Coconut Water has an ideal 2:1 ratio of potassium to sodium, 60mg of magnesium (for proper muscle relaxation and recovery) and 58mg of calcium (to fuel muscle contraction)! That’s more potassium than a banana and more magnesium than spinach! 2. Get the right calories. 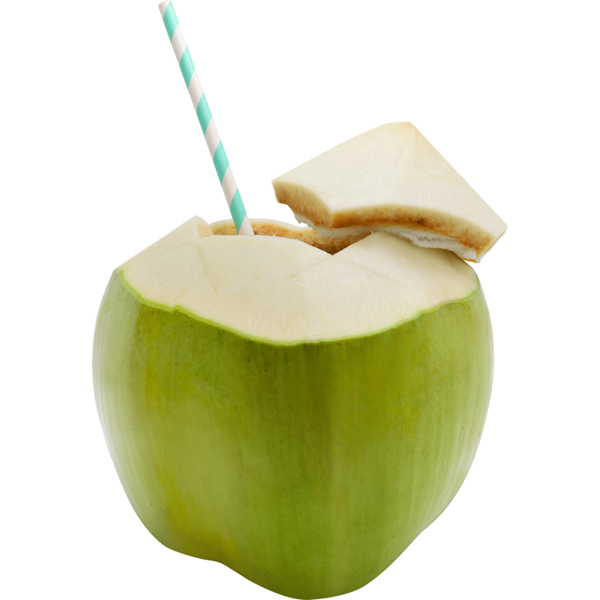 Coconut Water contains 29% fewer calories and half the sugar of an equal serving of Gatorade. Commercial sport drinks add liquid sugar, dextrose, modified cane starch and fructose. In other words sugar, sugar, sugar and a bit more sugar. 3. Get the right ingredients. If your still not convinced to give coconut water a shot, think about the potential health implications that are included in that long list of ingredients you find on the sport drink bottles (following at least three different kinds of sugar). Sodium Citrate, Monopotassium Phosphate and Citric Acid are all used in commercial sport drinks as preservatives and emulsifiers, unfortunately, all have the same reaction in your body – lowering pH and creating an acidic environment. Lower pH and an acidc environment forces your body to tap into calcium and magnesium reserves to buffer the acid in your body and attempt to return your pH to a normal level. Keep in mind that a loss in calcium and magnesium can put you at increased risk for osteoporosis. Many commercial recovery sport drinks contain Brominated Vegetable Oil (usually derived from soybeans) to stabilize the artificial colours and flavours to prevent separation. This ingredient usually creates the opaque/foggy appearance that many of these drinks share. Bromine is not found naturally in any foods, and there is no safe amount that can be tolerated in the diet. In fact, consuming excessive amounts of brominated vegetable oil has been shown to create symptoms of mental fatigue, skin pustules, memory loss, slurred speech, tremors, ataxia (coordination) and muscular weakness, as well as a transitory state which has resembled Paranoid Schizophrenia in extreme cases! 4. Get the right cost. Get ready to tote around a heavy pocketbook! Costing approximately $1.50 - $2.00 per can, coconut water offers a huge price savings from leading commercial sport drinks, charging between $2.50 - $5.00 per bottle! Training is hard! Don’t sabotage your potential for results after all your hard workouts by ingesting a chemical cocktail. Give coconut water a shot after or during your next workout. My talented nephew, Taevan Gangnier, is a Certified Personal Trainer, Crossfit Instructor and Moblity Specialist, and has created a powerfully rejuvenating post-workout smoothie that refuels and a refreshes. Give it a try! Purée all ingredients in a blender until smoooooooooooth! This recipe makes 3 to 4 servings, so cut this recipe in half, if needed. If you choose to drink this for breakfast, cut out the raw honey. MagSense is a perfect way to reduce muscle cramps after a tough workout. Hemp Pro 70 is the smoothest, strongest hemp protein on the market.